Heat oven to 375°F. Spray 13x9-inch (3-quart) glass baking dish with cooking spray. Unroll dough, and press into bottom of dish; set aside. 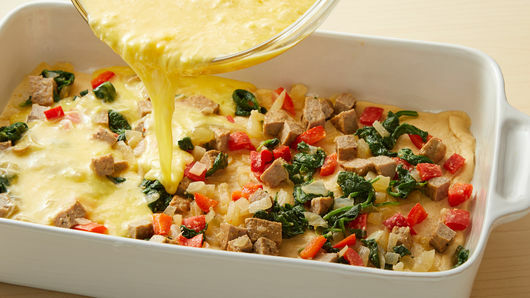 In 10-inch nonstick skillet, heat butter over medium-high heat until melted. Add onion and bell pepper. Cook 2 to 4 minutes, stirring occasionally, until tender and starting to brown. Stir in spinach; cook until starting to wilt. 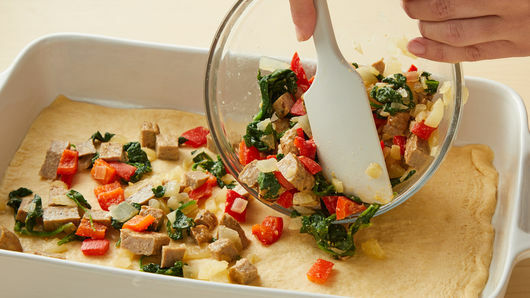 Top dough evenly with cooked vegetable mixture and sausage. In medium bowl, beat eggs and salt with whisk until well beaten. Stir in 1 cup of the cheese. 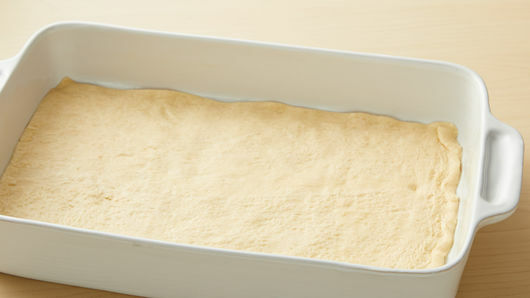 Pour egg mixture into baking dish, carefully spreading with spoon or spatula to distribute mixture evenly. Bake 20 to 25 minutes or until eggs are set and crescent bottom is golden brown. 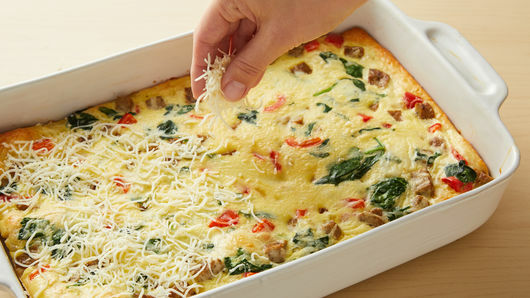 Sprinkle with remaining 1/2 cup cheese; return to oven 1 to 2 minutes or until cheese is melted. Let stand 5 minutes before serving. You can find precooked turkey sausage breakfast patties near the bacon and deli meats in the refrigerated meat section of the grocery store. 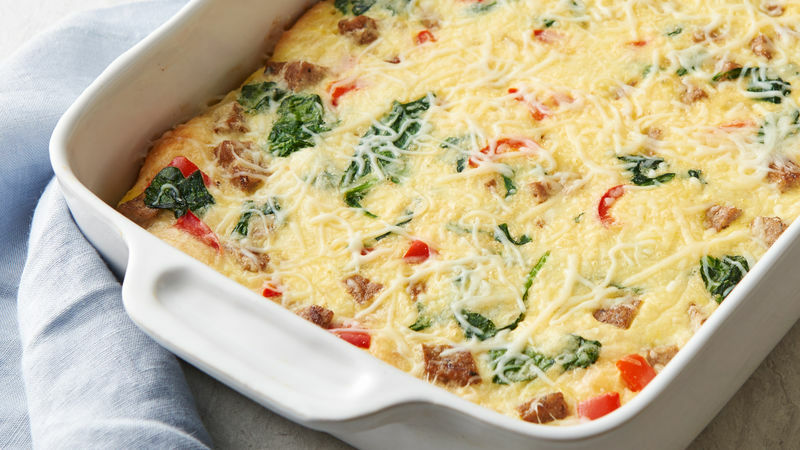 Shredded Cheddar or mozzarella cheese may be used in place of Italian cheese blend in this recipe. To add subtle heat, stir 1/4 teaspoon crushed red pepper flakes into egg mixture. Adding a teaspoon or two of chopped garlic at the end of the vegetable sauté step helps to add more flavor to the mixture without adding calories.